The OHAUS Compass CR221 is designed for basic weighing at a competitive price point, and is ideal for use in kitchens, classrooms, offices and more.The Compass CR series is specially designed for conv.. The OHAUS Compass CR621 is designed for basic weighing at a competitive price point, and is ideal for use in kitchens, classrooms, offices and more.The Compass CR series is specially designed for conv.. The OHAUS Compass CR2200 is designed for basic weighing at a competitive price point, and is ideal for use in kitchens, classrooms, offices and more.The Compass CR series is specially designed for con.. 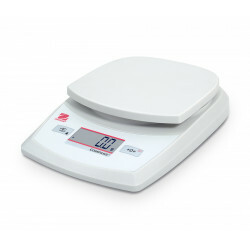 The OHAUS Compass CR5200 is designed for basic weighing at a competitive price point, and is ideal for use in kitchens, classrooms, offices and more.The Compass CR series is specially designed for con..